Released on 17 December: my first album. Two string quartets, a new one and an old one. 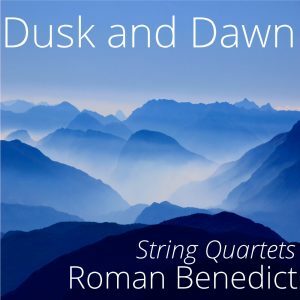 This collection of two string quartets is the debut album by composer Roman Benedict, combining one of his early works with a new, as yet unheard exploration of the string quartet form. Eventide is a reflection for string quartet and electronics. The piece is in three movements, final of which is a set of variations on the theme using a recorded and digitally manipulated quartet playing alongside the live one, as if reflected in a distorting mirror. It is a work full of atmosphere and contrasting textures, and ranges from meditative and quiet to expressive and complex. 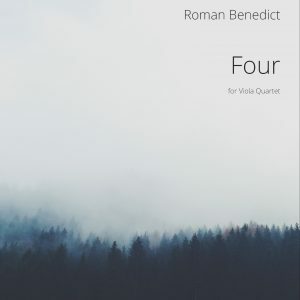 This recording of Four revisits the work for a quartet of violas, having won a number of prizes since its composition in 2009, and has been played in Australia and New Zealand. 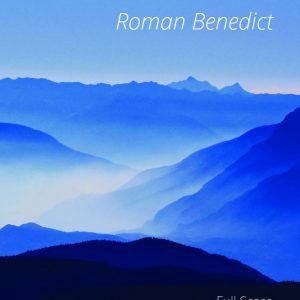 This new recording is performed by current and former viola members of the Sydney Symphony Fellowship, as well as their Artistic Director. With thanks to all of my Kickstarter supporters: Annabel Leakey, Cam Watson, Chris Pearson, Emma Xixi Wang, Glenn Saunders, Hugh Robertson, Ib Rasmussen, Jodie McClintock, Lauren Eisinger, Laurence Rosier Staines, Liz Watson, Margie Moore, Mary Halton, Matthew Charles, Patrick Howard, Philippa Hoskin, Reece McMillan, Ruth and Gavin Partridge, Susanna Cumbley, and Timothy Perry.